I guess Russia — and now China — are fed-up with the roles America, Turkey and the Gulf Cooperation Council have been playing to overthrow the Syrian government through supporting terrorists disguised as rebels. In addition to Russia’s military buildup in Syria to fight the Islamic State (ISIL), Al-Qaeda, as well as the myriad of other extremist groups operating in Syria and Iraq, China has broken its longstanding policy against intervening in other countries’ affairs by sending a naval ship as well as military advisors to the region to fight ISIL. 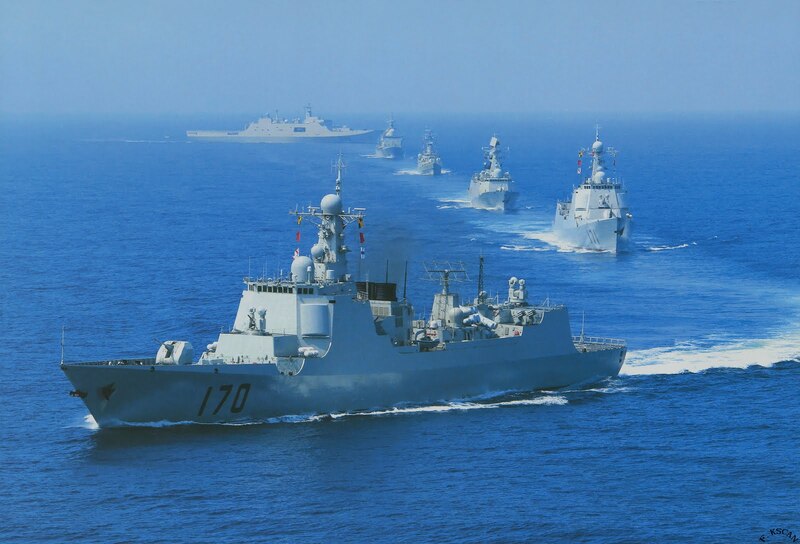 China also intends to provide troops. Well, someone needs to be the grown-up in this war and realize that the influx of Islamic extremists and other terrorists are the real threat within Syria, and that any current fixation with removing President Bashar al-Assad from power is reflective of the behaviors of spoiled children who can only see what they want — regardless of the deadly consequences. And who can blame China and Russia? The anti-Assad fever has hit too close to home for anyone’s comfort. There are more than 2,000 militants in Syria from the former Soviet Union. Instead of waiting for them to return back home we should help President al-Assad fight them there, in Syria. China has the same feeling of discomfort since they have evidence of Turkey recruiting Xinjiang Uighurs and giving them fake passports to not only fight Syria’s Assad regime, but to also launch terror attacks within China. Plus, China imports a large amount of oil from Iraq. And let’s not forget Turkey openly supporting Al-Qaeda-linked groups in Syria to weaken the Assad regime; Israel’s troubling behavior in this war; the United States’ latest arms-to-rebels program turning into yet another arms giveaway to jihadists; or America’s overall accidental or direct support for Syria’s jihadists — inclusive of that US petrie dish project known as ISIL. This entry was posted in Politics, War and tagged Bashar al-Assad, China, isil, islamic state, Russia, syria civil war, terrorisim, United States. Bookmark the permalink.